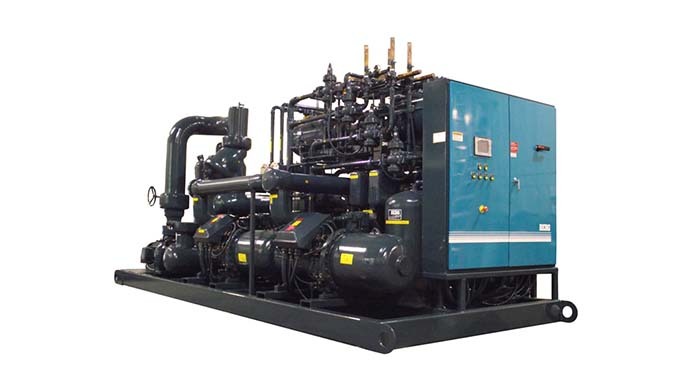 Today’s recreational ice facilities demand the highest standards when it comes to engineering ice rink refrigeration systems. 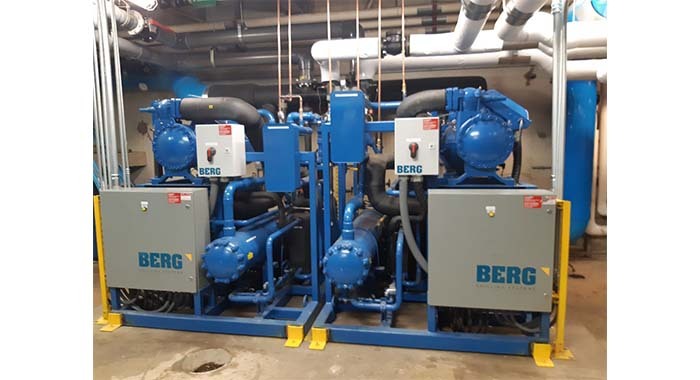 To exceed stakeholder’s expectations and meet government regulatory compliance, recreation ice facilities look to Berg Chilling Systems Inc. for total chilling solutions. 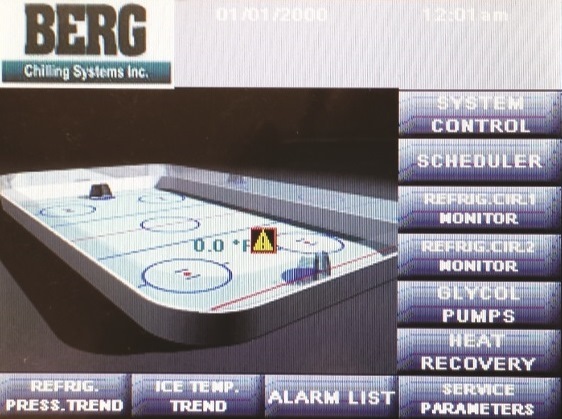 For 40 years, Berg has provided industrial process temperature control solutions with chilling, pumping and freezing equipment to achieve superior curling and skating ice surfaces for the global ice rink equipment market. 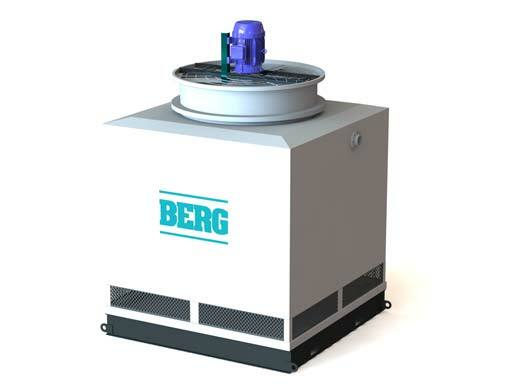 Berg’s experienced engineers custom design and fabricate chilling, pumping and heat recovery equipment in collaboration with our customers to meet their economic and functional challenges. This cooperative approach produces engineered innovations that consistently result in improved operational competitiveness for our customers. Whether you are in need of a synthetic ice cooling system for hockey ice rinks, curling rinks or outdoor skating rinks, tap Berg to design and manufacture an ice rink chilling system that will be a trusted backbone of your operation for years to come. 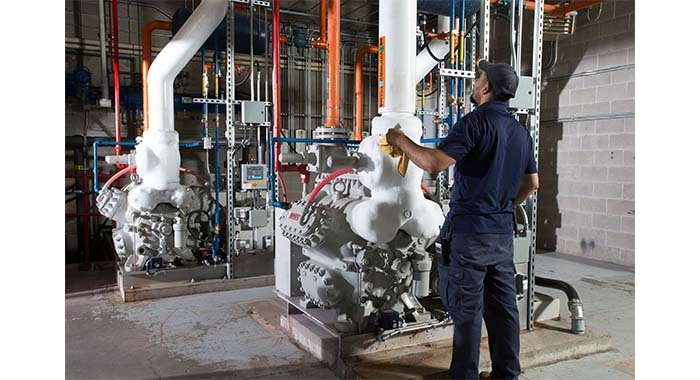 We will help you select the optimal refrigerant type for to meet your application’s economic and functional needs, whether it is freon, ammonia or carbon dioxide. 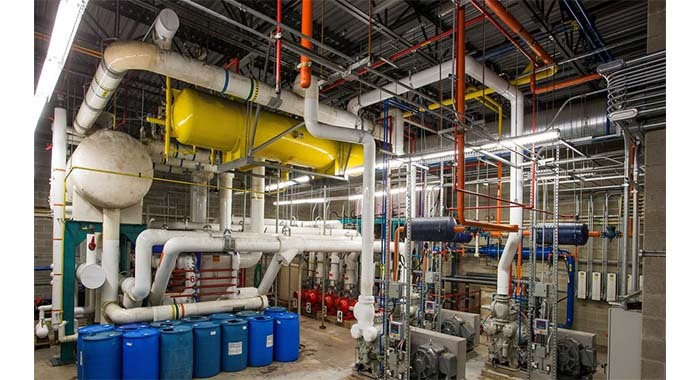 Plus, our custom, skid mounted design enables the flexibility to allow you to maintain a compact footprint and integrate the chilling system into your existing facility. 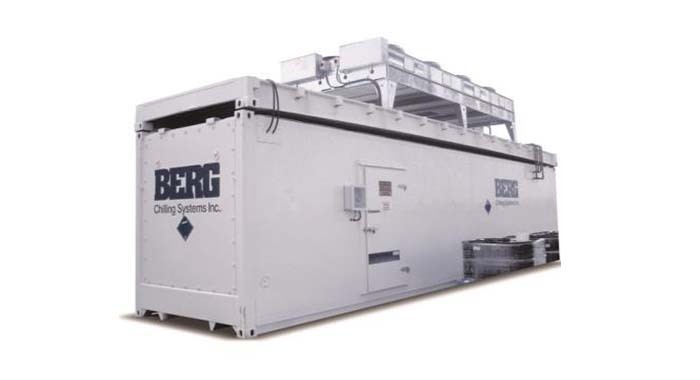 Berg recreational ice chiller systems come equipped with high system efficiency features and high efficiency motors, have 100% heat recovery capability, include low refrigerant charge, brine or glycol pumping stations, an integrated ice rink and central rink controllers, built up system redundancy, and are factory performance and functional tested prior to shipment to ensure reduced on-site assembly and minimal disruption to your operation. You can also order your ice rink equipment with refrigerant leak detection, and floating head pressure. Berg can also supply desuperheater heat exchangers, snow melt coils, fast ice removal heat exchangers and dehumidification systems. 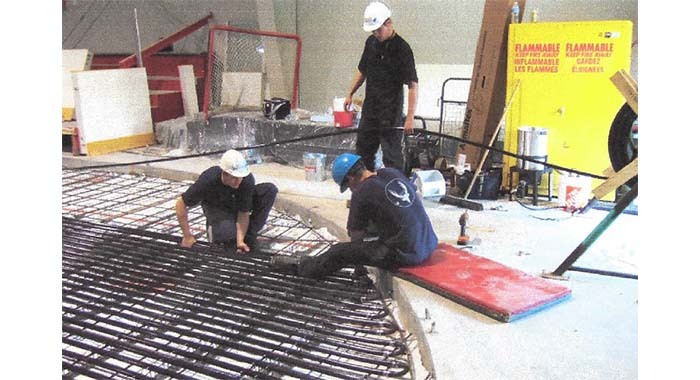 Typically, 8 km (5 miles) of steel pipe wind under the rink in the arena (A), removing heat from the concrete slab (C). 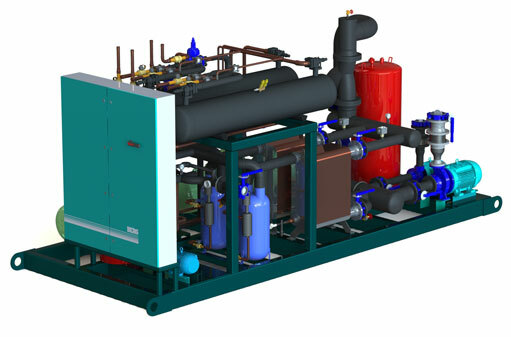 Refrigeration chiller equipment cools brine water to -9°C (16°F) and provides cooling. The brine water’s chemical properties keep it from freezing. To freeze the rink surface, the system pumps chilled brine water through the pipes and then onto the ice-bearing concrete slab. The brine water is pumped into the pipes (B) embedded in the ice-bearing concrete slab (C). The ice-bearing slab sits between the skating surface (D) and a layer of insulation (E), which allows the ice to expand and contract as temperatures and time demand. The brine water helps maintain the ice-bearing slab’s temperature just below 0°C (32°F) so that the water spread onto it can freeze. 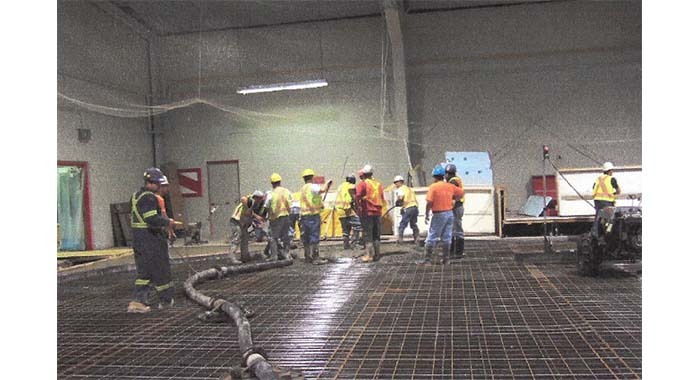 Beneath the layer of insulation, a heated concrete layer (F) keeps the ground below the ice from freezing and expanding, eliminating the potential for cracking damage to the rink structure. 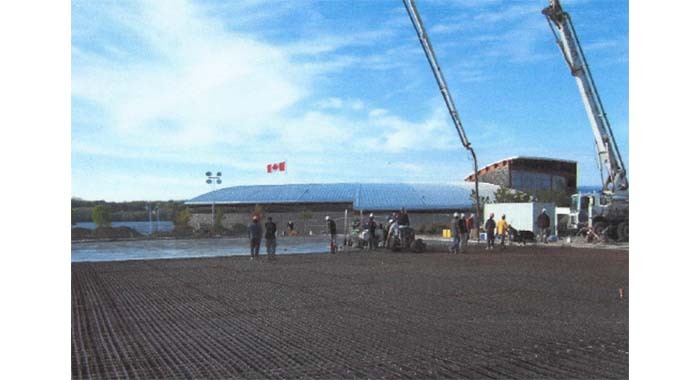 The entire ice rink sits on a base layer of gravel and sand (G) which has a groundwater drain at the bottom. To defrost the skating surface, the brine water is heated and pumped through the ice-bearing concrete slab. This heats the under-layer of the ice, making it easier to break up and remove with front-end loaders.